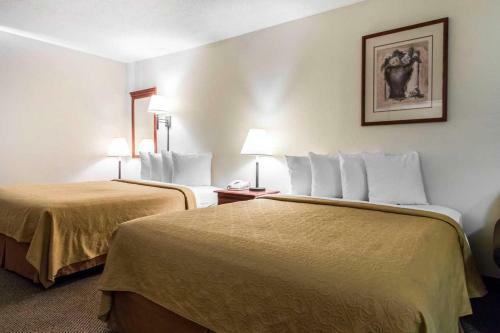 Rooms from $48.60 per night. Description This Port Wentworth, Georgia hotel has an outdoor pool, free internet access, non-smoking guest rooms and an on-site restaurant. 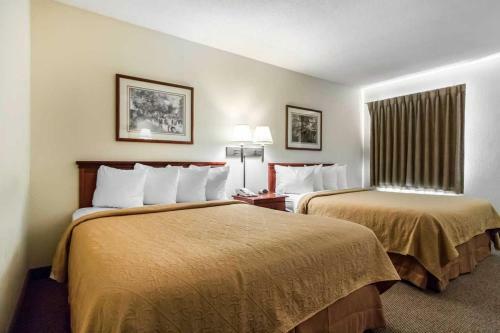 Offering free hot breakfast a seasonal outdoor pool and Wi-Fi access Quality Inn & Suites Savannah North provides useful amenities and quick access to Savannah destinations. 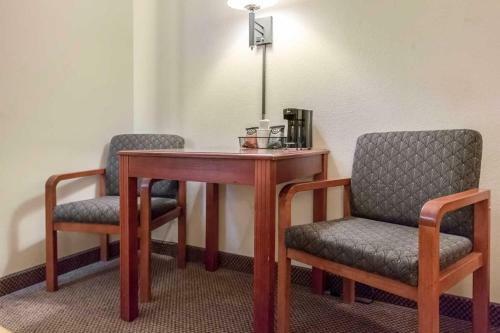 The low-rise hotel features 60 rooms comfortably equipped with coffeemakers hairdryers and cable TV including HBO. 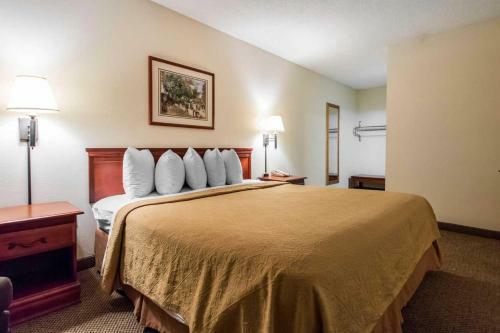 Select rooms include jetted tubs and handicap-accessible and non-smoking accommodations can be requested. 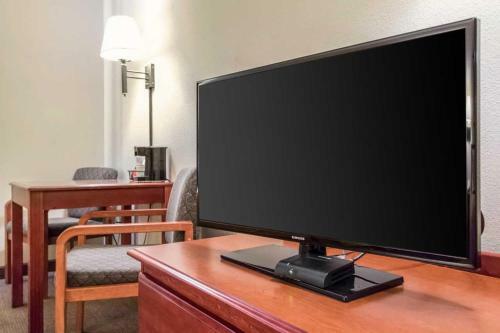 Road warriors stay connected with Wi-Fi access free local calling complimentary weekday newspapers and a business center with copy and fax services. Guests start the morning with a free breakfast and can look forward to a relaxing swim or a soak in the hot tub after a busy day. 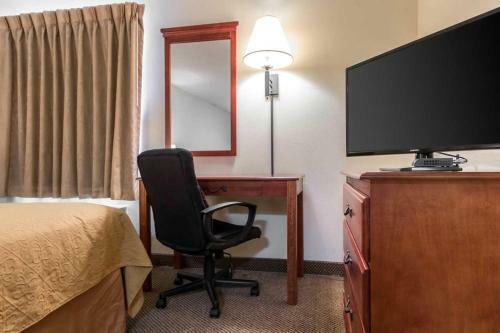 The hotel also offers self-service laundry facilities. 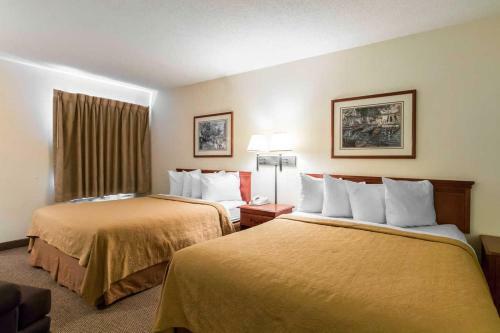 The hotel is on Highway 21 off I-95 in the suburb of Port Wentworth 20 minutes northwest of Savannah. Guests visiting a favorite student are about 30 minutes from Armstrong Atlantic State University and the Savannah College of Art and Design and three miles from Georgia Tech Savannah. Visitors have loads of retail therapy options within a 20-minute drive including the Festival Outlet Mall and the Savannah Mall. 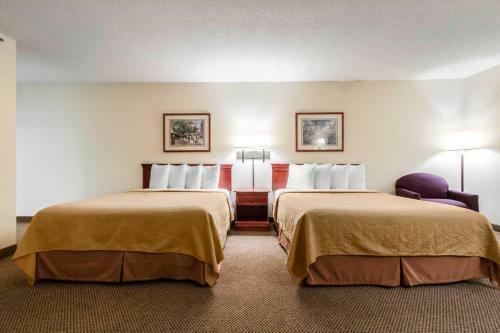 The hotel is seven miles from Savannah/Hilton Head International Airport. 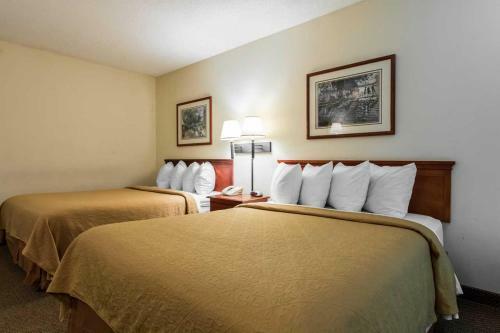 Add Quality Inn & Suites Savannah North to your free online travel itinerary.